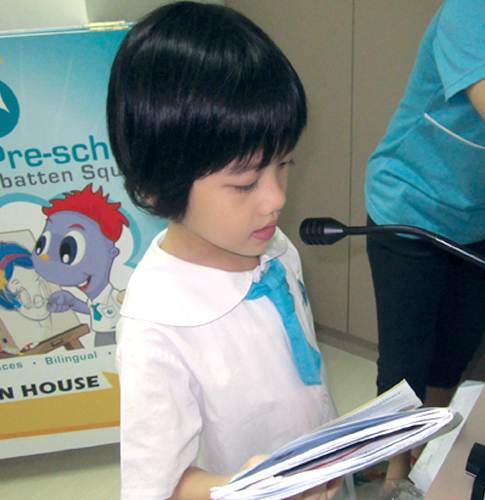 During the half-day Chinese immersion, only Chinese will be spoken. Each class has a Chinese teacher and an assistant Chinese teacher. Our Chinese curriculum follows the natural language development sequence of listening, speaking, reading and then writing. From Pre-nursery (18 months) to N1 (3 years old), our focus is on listening and speaking. Speech and drama is a good way of building up their verbal communication skills and confidence. 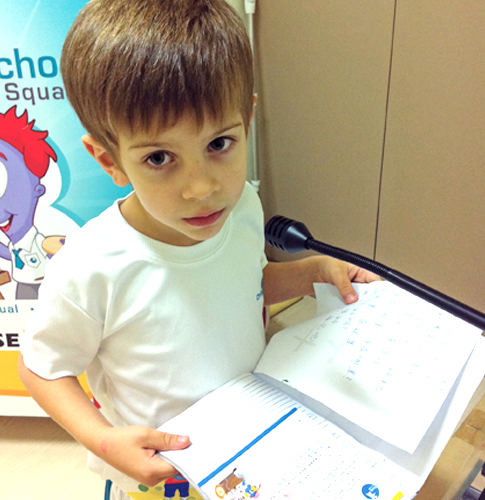 Starting from N2 (4 years old), your child will be exposed to Chinese word recognition and reading. We take a two prong approach, rapid word recognition through animated rhymes and early reading through graded Chinese readers. Unlike English which is a phonetic language, Chinese is a pictorial language. At ChildFirst, we make recognising Chinese characters fun so that your child can remember them. Do you recognise these two characters “炎” and “灭” , if you were shown an animation that “灭” is formed by adding “火” (fire) on top of “火” and it means extremely hot, would you remember it better? What about an animation that shows water being doused on “火” to form “灭” which means extinguish? Would you recognise “灭” next time? Once your child recognises Chinese words, they progress to Chinese Step Readers to help build up Chinese reading skills with confidence. When Chinese is taught as a subject, it will be forgotten outside the classroom. At ChildFirst, your child will be exposed to more than 750 hours of Chinese every year. Chinese will inevitable become a part of your child’s daily life, a language that he/she uses for communication, playing, eating and daily routine activities. To truly appreciate a language, one needs to understand its culture. 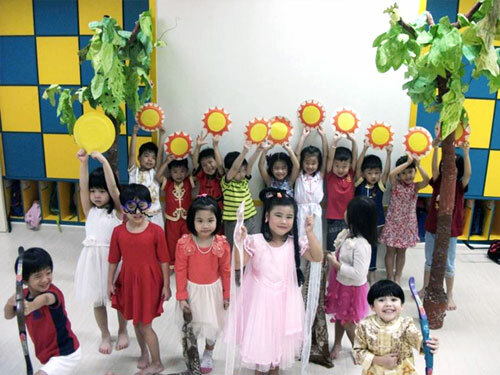 At ChildFirst, we infuse culture into our Chinese curriculum by having themes that celebrate Chinese culture such as Chinese New Year and Mooncake Festival.